The first game in SNK's Art of Fighting series. A decent fighter, with scaling effects and average music. 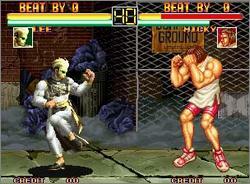 In one player mode you can choose to play as Ryo or Robert and attempt to fight the CPU in a campaign mode, but beware- the CPU can be quite difficult. 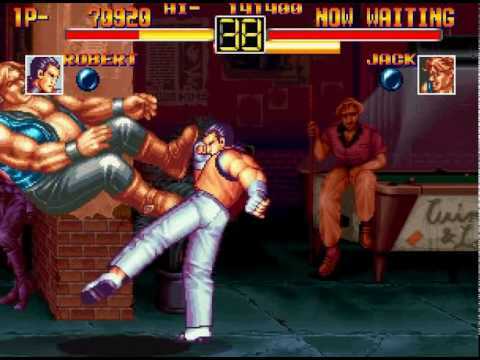 In two-player mode, two can duke it out against each other, or one person can start the mode without anyone controlling the second player in order to practice moves easily. An okay game to play by yourself or with a friend. Now you can add videos, screenshots, or other images (cover scans, disc scans, etc.) 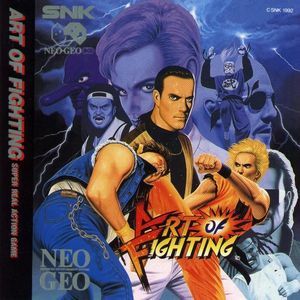 for Art of Fighting (1994)(SNK)(Jp)[! ][Ryuuko no Ken] to Emuparadise. Do it now! If you haven't noticed yet, we have a retro game of the day feature (top-right of the screen) wherein we feature a new retro title every single day! Now, you can vote for your favorite games and allow them to have their moment of glory. Click on the button below to nominate Art of Fighting (1994)(SNK)(Jp)[! ][Ryuuko no Ken] for Retro Game of the Day.